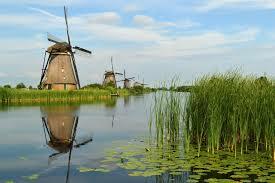 Traditional view of the countryside in the Netherlands. The political landscape of Europe began to shift in 2016, and this year will likely bring even more changes. Last year, the unexpected result of the referendum in the United Kingdom, shook the establishment out of its complacency. The first salvo of the rising European populist movement in 2017, will be the national elections in the Netherlands. In voting for what is now considered the Brexit, the electorate was putting the political elites on notice. The increasing loss of national identity and sovereignty has been the agenda of the leadership in most European countries. Over time, this has resulted in more authority being concentrated in the institutions of the European Union, to the detriment of local interests. 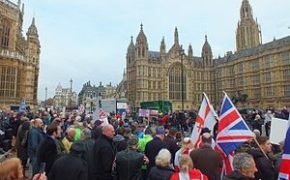 Brexit campaigners outside Parliament in November 2016, London. Voters in the United Kingdom decided by a small majority, that the future of the kingdom should be left in their own hands. The first step in this process was to leave the European Union. The citizenry had finally rebelled, against the endless rules and regulations coming from the mainland. The issue that finally galvanized the British citizenry to vote against the political establishment, was unfettered immigration and the migrant crisis that was unfolding on the continent. Assuming that a sizable number of these refugees, might ultimately choose to make the United Kingdom their home, pushed voters to finally say no. Populism is spreading across the continent at an accelerating rate, as years of low economic growth, high unemployment and now a refugee crisis, is creating a backlash among the electorate. The arrival of 1.5 million migrants from the Middle East and North Africa in 2015 and 2016, totally overwhelmed a number of individual governments. The Schengen zone of open borders within the European Union, simply collapsed under the onslaught. In order to provide for greater security the nations of Austria, Denmark,Germany, Norway and Sweden, started imposing emergency border controls already in 2015. In the ensuing months, many more nations in the European Union would enforce new security measures on their frontiers, as well. These temporary measures are now being extended at the beginning of 2017. In would be in the center of Europe, for the largely ceremonial post of the presidency, where the populist movement was going to gain new international attention. Norbert Hofer, Populist Austrian presidential candidate in 2016. In the first round Austrian presidential race in April of 2016, Norbert Hofer of the populist Freedom Party was able to garner the most votes. The following month, he narrowly lost the race to the Green Party candidate Alexander Van der Bellen. When the election results were later annulled due to voting irregularities, it looked like there was a chance that for the first time in Western Europe, a populist might be elected to the presidency. The re-vote took place in December,with Van der Bellen finally reaffirming his earlier victory. Further to the east the conservative Prime Minister of Hungary Viktor Orban, has been in power since 2010. He has promoted social conservatism and what has become known as Eurosceptic nationalism. To achieve these goals, the Prime Minister has pursued constitutional reforms to move forward, a policy that he calls illiberal democracy. During the height of the European migrant crisis he ordered the construction of the barrier on the Hungary-Serbia border. This was in an effort to block the entry of illegal immigrants. As a member of the Visegrad Group, which also includes the nations of the Czechia, Poland and Slovakia, a migrant agreement was reached in September of 2015. As a group, they will not accept any compulsory European Union long term quota, on the redistribution of any type of immigrants. 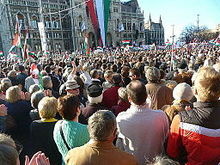 Prime Minister Orban due to his longevity and populist message, has become an influential leader in the European Union. 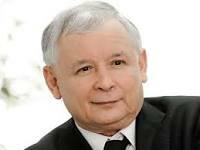 Orban has been readily compared, to the long time political operative Jaroslaw Kaczynski in Poland. The latter largely engineered the Polish national electoral victories in 2015, where the conservatives solidified their control of the country. He has remained a major critic of the multicultural mainstream view, promoted by the more traditional leaders of the European Union. The national elections in the Netherlands will be held on March 15th. They are the first in a number of important European elections to be held this year, most notably in France and Germany. There has been a dramatic change in Dutch politics in recent years. The contest is no longer between the largest right and left wing parties. It has devolved into a competition for voters between the incumbent center right liberals (VVD) and the nationalist anti-Muslim Freedom Party, known locally as PVV. What is amazing it is not just the rise of PVV leader Geert Wilders, but how the movement he represents, has forced mainstream leaders to abandon previous long held views on migration and refugees in general. Prime Minister Mark Rutte from the VVD party himself, has warned immigrants concerning their wish to remain in the Netherlands. Arrivals from elsewhere he has stated, must follow the laws and long held views of tolerance of the country, or they should leave. The anti-immigrant populism nationalist movement arrived in the Netherlands far earlier than in many other European countries. Once again, the nation has been at the forefront of a political wave, that is now spreading throughout the continent. The last general election in the Netherlands held in 2012, was dominated by primarily economic issues associated with a punishing recession and the pain of austerity. Mr. Rutte was able to form a government then, as a result of a coalition with the center left Labor Party. Although growth remains an electoral issue, as the economy continues to under perform, the issue of immigration of any kind, has become equally important. Out of the 78% of the population that still identifies as being Dutch, a sizable proportion is becoming increasingly alarmed, on what is happening to their country. The Dutch as a whole have created a socially tolerant society, where the wealth of the country has provided generous health and pension benefits. As more of the citizenry view their economic prosperity and way of life under threat, the appeal of populism continues to rise. Despite a forecast of higher growth by the central bank in 2017, the anxiety of many Dutch voters could well undermine the present coalition. A promise of a GDP (Gross Domestic Product) expansion of 2.3% alone, will not necessarily assure the electorate, that the status quo is working. The biggest losers in the upcoming election, if the model from what is happening in France and Germany is to be followed, will be the Labor Party. It is the result, of an ever more crowded centrist position of mainstream political parties. To stay in power as part of a political coalition, Labor has been forced to adopt more centrist policies. This will cost them support among their more leftist supporters. In addition, voters who align themselves in the middle, have far more choices than in the past. Recent polls suggest, that Labor is likely to lose as many as two thirds of their seats in the next lower house of Parliament. That would take the present 38 representation down to as low as 12, in the 150 seat legislature. It has also quite likely, that more than a dozen other political parties may receive enough voter support, to warrant representation in the Dutch Parliament. If the divisive political campaign does lead to a further fracturing of politics in the Netherlands, it will be far more difficult to create a ruling coalition. As is the case with the leading presidential candidate Marine Le Pen in France, Mr. Wilders is also ahead in the polls. The problem for both of them is not in becoming the largest party in the legislature, which is now quite likely, it is how to create a government? Binnenhof, the Parliament Building of the Netherlands located in the Hague. 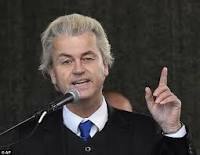 Mr. Wilders will need the support of a number of minor political parties to gain power. On the other hand, the list of political leaders from other parties, that have no intention of working with him is growing. It is not yet clear, if Wilders even wants to be Prime Minister. He may well content himself with being the kingmaker, in the creation of a new government. His support will becoming increasingly important, in a fractious parliament. If Wilders becomes part of an official ruling coalition, he would then share the responsibility and blame if a number of outcomes fare poorly. This was primarily the reason, why he withdrew his support from the minority Rutte government in 2012, after two years. The logo for the populist Party for Freedom in the Netherlands. At that time, new fiscal austerity measures were about to be put in force. Wilders explained his withdrawal, on his disagreement with European wide dictates. He pointedly used the example of the 3% rule, placed on national budget deficits. By previous agreement reached in the late 1990’s, individual European nations had pledged to keep their annual fiscal shortfall at 3% or lower of GDP. The hypocrisy displayed by Wilders at the time was clear, in that his party had previously supported this fiscal rule, in an effort to keep government spending under control. The action initiated by Wilders in 2012, soon brought the necessity of new elections, which were held that September. The PVV in opposition, ran an outspoken campaign on a return to a national currency and a withdrawal from the European Union. Mr. Wilders saw his share of the vote that year decline to 10.01% and witnessed a loss of 9 seats in the lower house of Parliament. It left the party presence in the legislature down to a mere 15 seats. Wilders was again a few years ahead of his time. A return to the guilder and a possible exit from the European Union, has far more political appeal in 2017 than before. Since the 2012 loss,Wilders has been gaining political momentum in various circles. Building of the European Parliament in Brussels, Belgium. In the May 2014 elections for the European Parliament, he was able to increase the vote total from 13.3% to 17.0%. This entitled the party to four seats in that legislative body. He has subsequently lent his support for similar populist movements in Austria, Belgium, France, Italy and Sweden. The effort to form a new political group in the European Parliament however, has so far failed. Although the Netherlands and the five other aforementioned nations are in agreement to create a party, they are still one short according to present parliamentary rules. Mr. Wilders at this point has still ruled out working with populist movements in the nations of Germany, Greece, Hungary and Poland. He considers these parties too right wing and racist for now. To make matters more difficult for him, other populist groups that exist in nations like Denmark and Finland, have so far refused to join similar minded parties from other countries. The problem for more traditional politicians in the Netherlands, is at what point do they have to admit populists into the government? The question is going to be asked in quite a few European countries. By ignoring the largest party in the legislature, it adds fuel to the claim that the establishment is ignoring the wishes of the electorate. Until 2017, the political agreement to largely exclude populists has worked, because their overall representation in national legislatures, had remained relatively low. This year will be different. It is quite likely that the largest party in the Netherlands Parliament will be populist, following the March election. President of the National Front Party in France. The same is true in France. 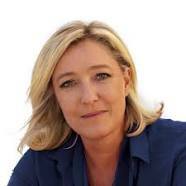 Although Marine Le Pen will garner the most votes in the first round of a presidential contest, she is likely to lose when all those who oppose her, unite behind a single candidate in the second round. A presidency can be legitimately denied to a candidate under these circumstances. However, the constituency she represents, cannot be continually ignored by a ruling government. It only adds to the frustration and political gridlock in politics. Furthermore, it is having the unfortunate effect of adding an increasing number of the disaffected, to the populist cause. That these nationalist populist movements are having their effect across the political spectrum, cannot be denied. All one has to do is to look at the speeches and pronouncements of mainstream politicians. They have as a group for example, moved away from more vocal support of migrants. These same political leaders are now backing away from a call of even more European integration. They have become more critical towards the institutions and policies of the European Union in Brussels. More blame is regularly being leveled, against the central bureaucracy and other unelected officials. The upcoming vote in the Netherlands, is likely to be a precursor to more political upheaval in Europe this year. Established politicians elsewhere might serve their constituents better, by listening to some of their concerns, rather than dismiss groups of them outright. If the elites fail in this endeavor, politics in Europe will continue to become more divided and fractured.